Hello! The US cover for SUMMER SKIN has been out in the world for a little while now, but I am not known for my punctuality, so I am revealing it here and now! I am so happy that they’ve kept things similar! I don’t think I could imagine Summer Skin with any other cover, and it was the original cover that was responsible for turning me into a fan of the colour pink. By the way, if you are still playing, you score 10 points per difference spotted, with a maximum possible of 220 points. No, I’m messing with you. There are nothing like 22 differences. 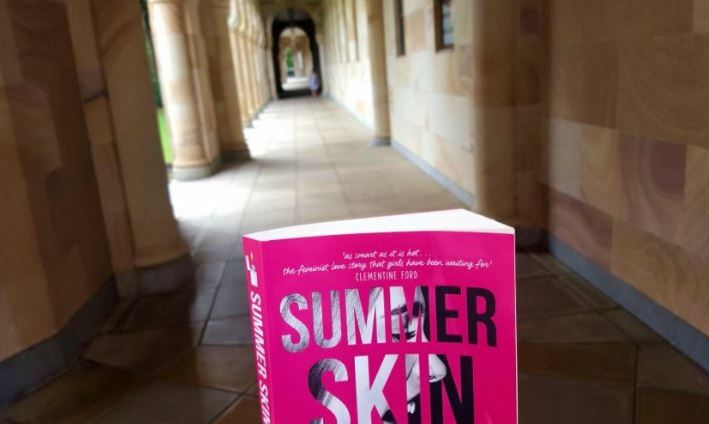 The other thing to note is that Fierce Reads will be doing a GIVEAWAY of 15 advanced reading copies of SUMMER SKIN on Goodreads very shortly. I will be back to remind you when it’s started (I imagine it’s only for residents in the US and Canada, though). Guys, I am doing a panel as part of the Sydney Writers’ Festival All-Day YA program. Big thanks to SWF and also the Stella Schools program for giving me the opportunity. I’m especially thrilled about this because I love my co-panellists: Randa Abdel-Fattah, Alice Pung and Bec Kavanagh. The lack of political voice leads to disempowerment, disengagement and disadvantage. 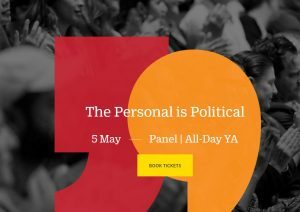 In this panel, authors Kirsty Eagar, Randa Abdel-Fattah and Alice Pung offer personal testimony on the politics that affect them. Their testimonies are followed by a panel discussion on the ways marginalised voices are silenced, hosted by Bec Kavanagh. These women are sure to challenge the way we think. Presented with the Stella Schools Program. Supported by the City of Parramatta. Actually, that whole heading is a massive exaggeration … but I am Uni of Qld Alumni, and I did do an interview with the irrepressible Katie Rowney for their online blog. It’s about the time I had there (both at uni and at college) and how I went from using my degree to writing books (which isn’t really using my degree, but they didn’t seem to mind) and how to smile like a weirdo when you’re wearing a toga (which is a secret hidden pic, kind of like Where’s Wally, or Where is THE Wally?). Also, Katie did GIFs of me surfing and because, as we all know, surfing is my not-so-secret vanity, I am indebted to her for life. 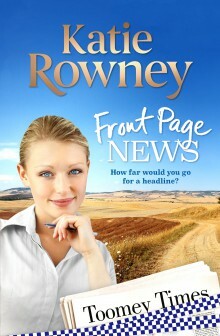 You can find out more about Katie’s excellent book, FRONT PAGE NEWS, by clicking HERE.